Comedians from the United States are quite used to making fun of Canada, depicting their neighbors as some sort of peaceful simpletons, with the series South Park as probably the prime example. However, even if you ignore that Wolverine — the toughest of all the X-Men — is Canadian, you should revise this worn-out cliché, considering how this realm of the Commonwealth seems to march to a faster pace than the United States in the race for cryptocurrency adoption. While the U.S. Securities and Exchange Commission’s (SEC) recent requests seem to delay the possibility of encompassing regulation with regard to introducing a Bitcoin-based exchange-traded fund (ETF) in the U.S., their Canadian ‘cousins’ took this landmark decision almost a year ago. In fact, the British Columbia Securities Commission granted the possibility of the registration of Bitcoin investment fund managers on Sept. 6, 2017, and the first company to take this opportunity, First Block Capital, has since then achieved recognition for its fund, FBC Bitcoin Trust. Recently, it became eligible to enter registered accounts such as the Registered Retirement Savings Plan (RRSP) and a Tax-Free Savings Account (TFSA). Other financial vehicles have contributed to making the Canadian fintech scene a lively one. For instance, there is the Blockchain Technologies ETF (HBLK), a fund based on the Harvest Blockchain Index — a portfolio which tracks the performance of some of the leading public companies with business activities focused on blockchain activities in North America. More recently, other funds pegged to the performance of indexes based on stock issued by blockchain companies — such as Coincapital STOXX, Blockchain Patents Innovation Index Fund (LDGR) and the Coincapital STOXX B.R.AI.N. Index Fund (THNK) — appeared on the Toronto Stock Exchange. Both of the latter funds are promoted by Coin Investment Management, a recently created Coinsquare subsidiary (the exchange defines itself as “Canada’s home for digital currencies”). Also, the pioneer First Block Capital, is working on new vehicles, announced under the names of FBC Active Blockchain Opportunities ETF and FBC Cryptocurrency Index Fund. If an ETF could be considered the holy grail in terms of legitimizing digital assets within the regulated financial system — and therefore news about them is often more eye-catching — then Canada has demonstrated that it has many other crypto-arrows in its quiver. Blockchain and cryptocurrencies have been part of the Canadian landscape for many years. Maybe you have forgotten the nationality of the comic heroes as Wolverine, but you should remember that, even though Vitalik Buterin was born near Moscow, he has lived in Toronto from the age of six. Since 2017, Toronto, the capital of Ontario, has also been the headquarters of the Blockchain Research Institute, but even some very well-established Canadian institutions — such as the Bank of Canada or the Competition Bureau Canada — have demonstrated a strong degree of interest and acceptance for the potential of the blockchain and of digital currencies. The Canadian tax system too, even if not very forgiving, has been fully aware of cryptocurrencies since 2013, when the Canada Revenue Agency established its basic rules on the topic: If digital assets are held and traded as a capital asset, the possible profit is taxed as a capital gain (applied to 50 percent of the amount). If cryptocurrencies are used as a means of payment, the transaction is interpreted as a form of barter (because the two parties agree to exchange goods or services without using a legal tender), the value of which is converted in Canadian dollars and included in the seller’s income for tax purposes (depending on the Canadian province, business income taxation varies from 26.5 percent to 30 percent, and that of individuals from 44.5 percent to 58.75 percent). According to its value, mining is taxed as either a business profit or as a personal hobby, which makes it non-taxable. Alongside human institutions, nature itself seems to support Canada’s march toward a blockchain economy. The country is extraordinarily well-endowed in term of hydro-power generation capability, and Canada — especially regions such as Quebec — enjoys the lowest electricity rates in North America. Cheap electricity drove Bitmain to Quebec and is what literally fuels the competition between the Chinese mining giant and its local rival Hut 8. Therefore, it’s not surprising that research published by the Bank of Canada in July 2018 indicated that Canadian citizens’ level of awareness in regard to cryptocurrencies rose from 77 percent in 2016 to 93 percent in 2017 (at least in British Columbia, the most ‘crypto-wise’ province, according to the report). However, the same survey underlined that Bitcoin (and other crypto assets, by extension) is seen by the vast majority of the respondents as an investment, more than as a means to buy goods and services (by the way, in 2016, the majority of Canadian Bitcoin holders purchased them because they were ‘interested in new technologies’). The path toward a real and sustainable mass adoption should pass through the creation of reliable services and new businesses, using blockchain and crypto assets to run them. The Canadian approach to ICOs is indicated by elements such as a lightly regulated general framework, incentives for startups and innovation, and decentralization and coordination on the part of different authorities working at the federal and provincial levels. The last point is probably the key element in terms of shaping the features of the Canadian perspective toward regulation: Canada is a federation of 10 provinces and three territories, and the Canadian Securities Administration (CSA) defines itself merely as “an umbrella organization of Canada’s provincial and territorial securities regulators whose objective is to improve, coordinate and harmonize regulation.” This brings a plurality of slightly different regulatory frameworks. In addition, it supports an interventionist approach, which aims to keep the regulator closer to the local market and to the investor community, relying on efficient and light structures. CSA put its machine in motion in February 2017, when its chair and president, Louis Morisset, announced the creation of a regulatory sandbox — an initiative aiming to provide a time-limited registration for businesses able to demonstrate themselves truly innovative and committed to ensuring appropriate investor protection, notwithstanding some other formal requirements. The eligible business models encompass cryptocurrency-related activities, crowdfunding portals, online lenders, angel investor networks, applications of artificial intelligence (AI) in trading and technological services provided to regulatory activity (RegTech). All the applications are considered on a case-by-case basis, in a procedure managed — at least in its early stages — by the local securities regulators in order to achieve a faster and more flexible process than through a standard application process. The resources mobilized by the different local authorities could vary, following differences on the part of different provinces. Certainly, It is easy to recognize the prominence of the regulators in charge for the most populous and most economically active areas, such as the British Columbia Security Commission, Quebec’s Autorité des Marchés Financiers and the Ontario Security Commission. Visiting the website of this final commission, which is devoted to the initiative the OSC LaunchPad, you find a friendly and smart interface, looking more as a startup incubator design than that of a regulatory agency. The CSA Regulatory Sandbox has now authorized eight applicants, among which there are a venture capital platform focused on startups, five cryptocurrency investment funds and two ICOs. The attitude of the Canadian authorities is to affirm the need to apply the fundamentals of security law (prospectus and registration) to new fintech businesses, recognizing the possibility, however, that such a new industry may require some exceptions, at least on a temporary basis. The first Staff Notice on Cryptocurrency Offering issued by the CSA in August 2017 (SN 46-307), for instance, stated that “every ICO/ITO is unique and must be assessed on its own characteristics,” then indicating the guidelines to ensure respect for the substantial goals of the regulation process (business development and investors’ protection), even in case of exemptions from some of its formal requirements. After many months of experimentation with the sandbox, the CSA has been able to publish more precise guidelines — for instance, defining the concrete elements which classify a token as a security or a non-security (in the SN 46-308, June 11, 2018). The placid and pragmatic CSA philosophy was also summarized in the video “BC Security Commission” posted on YouTube at the end of 2017 while the crypto world was enjoying an apparently unstoppable rise of the market. As of press time, the video has a surprisingly low number of views: little more than 5,800, with only 9 likes. The following shift from FOMO to FUD and some witch-hunt style statements against ICOs and cryptos, showed that, maybe, Canada has some lessons to teach us all. 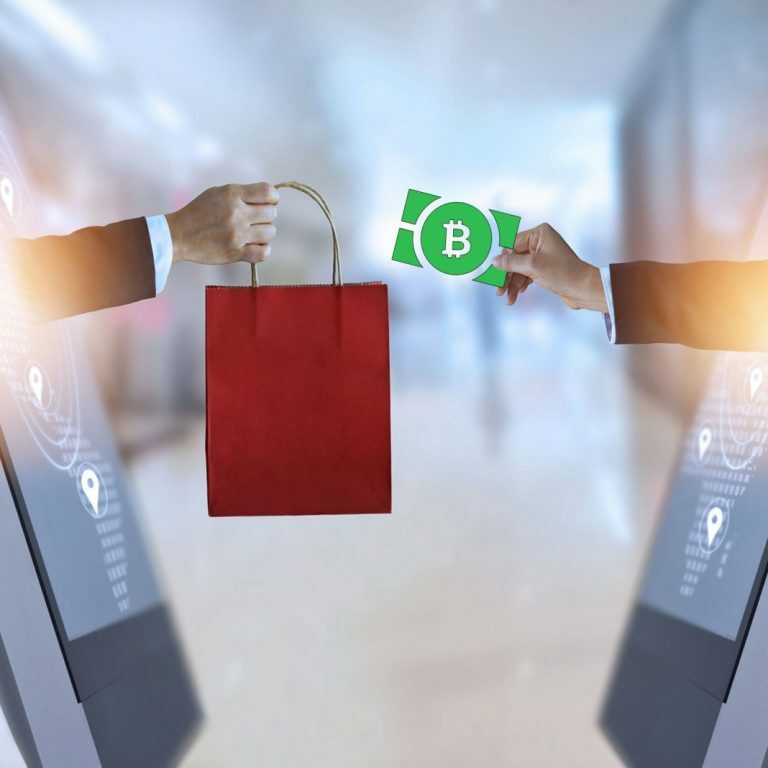 Instead of having square heads and curious habits as depicted in South Park, Canadians seem to be cruising smoothly toward a consistent adoption of digital finance and blockchain in their economic and institutional environment. At the same time, in the U.S., ETF proponents are still struggling with the SEC, and all the ICO movement is engulfed by a law from the 1930s preventing residents of the country with the largest number of ICO-financed projects to legally participate in any ICO. The Security Act of 1933 – the document that currently shapes the main decisions about cryptocurrencies in the US – was born as a consequence of the 1929 Wall Street Crash and often seems to bring back memories of another era, which happens to be another period in which the two North American countries experienced a regulatory divide on a rather controversial topic. Canada adopted Prohibition in 1916, even before its southern neighbor (in the U.S., liquor was sold until 1920). However, the Canadian temperance laws varied in a rather sensitive way, allowing the production, selling and consumption of alcohol under specific conditions, or referring only to particular kinds of drinks. Generally, all these experiments were demonstrated to be ineffective in a very short time, and by the mid-1920s, the majority of the provinces had begun to repeal Prohibition or to modify it in regulation aimed at moderating instead of forbidding alcohol consumption. Meanwhile in the U.S., Prohibition, which was not only ineffective but sometimes harmful, endured until 1933 — when almost all Canadians had their booze back by 1927-1930. Quebec was the first province to repeal its — very moderate — prohibition law in 1919 and Montreal became a sort of promised land for the thirsty U.S. bon vivants: Special trains crossing the borders were organized and Irving Berlin’s song Hello Montreal! was one of the hits of 1928 (“Goodbye Broadway, hello Montreal / I’m on my way, I’m on my way / And I’ll make whoop-whoop whoopee night and day!”). Who knows if, in the future, there won’t be cohorts of U.S. investors and fintech entrepreneurs flocking across the border to find a freer place in which they can quench their thirst? Cointelegraph.com is author of this content, TheBitcoinNews.com is is not responsible for the content of external sites.